Two recent retailer-focused articles, one from the UK and one from the US, give weight to the Australasian Catalogue Association's recent gung-ho supplement to its Catalogue Industry Report. In the Business of Fashion article "Why Catalogues Survive in a Digital Age" Robin Mellery-Pratt looks at the various aspects of catalogue strategies employed by Neiman Marcus, J.Crew, Shop Direct, Boden, Jack Wills and Bergdorf Goodman. One of the deeper insights was from John Koryl, president of stores and online at Neiman Marcus (US): "If you look at the conversion metrics of somebody who does or does not receive a catalogue, as you can imagine, the more educated customer, familiar with our lens of what luxury fashion is, has a higher conversion rate -even if they migrate online," explained Koryl. "It's really across the age demographic spectrum that catalogues play a role"
Matthew Hiscock, Director of Global Marketing at Boden (UK) observed "We really value the tactile experience it gives our customers. We know it's a powerful tool and is particularly loved by our best customers who really engage with it." "Even on the raw economics, I don't see the catalogue going away in my lifetime. It is still a material part of our business." There is a niche in the market that the catalogue serves, and it's not like the customer is aging out. It's really across the age demographic spectrum that catalogues play a role"
The second article is a more micro-strategic article and looks at US multi-channel furniture and homewares retailer Z Gallerie's use of Instagram in conjunction with their catalog. The Instagram tool ... has driven an increase in catalog signups on their website by 24% in 2 weeks. Finding it tougher (and more expensive, we guess) to get catalogues into the hands of the right customers, they've used an Instagram tool which has driven an increase in catalog signups on their website by 24% in 2 weeks. While also cross-promoting the catalog on Facebook, Instagram out-performed Facebook by a factor of 12. 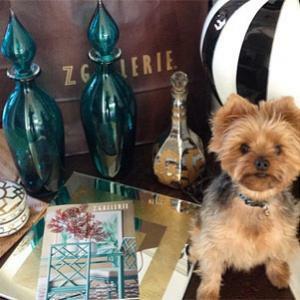 And the engagement factor on Instagram went further, with customers posting great pictures of them receiving the Z Gallerie catalogs in the mail - now that's what we call a great use of social media to amplify the catalog message and content! So, not only are catalogues still a great marketing performer, they are becoming interwoven into social, just like they were previously interwoven into the older channels like TV, radio, press and magazine.